Small group tours can be much more focused than large tours that try to appeal to everyone. 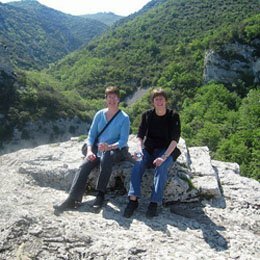 Many small group tours focus on a specific geographic area, like our European Experiences trips in the Luberon, Chianti, and the Salzkammergut. Other small group trips focus on enjoying a special interest in that area, such as art or concerts. One important benefit of any small group tour is the compatible group of fellow travelers who enhance the travel experience. This is especially true when tours focus on a specific type of traveler. Although most of our European Experiences weeks are open to anyone, we do offer some trips for a very special group: women travelers. 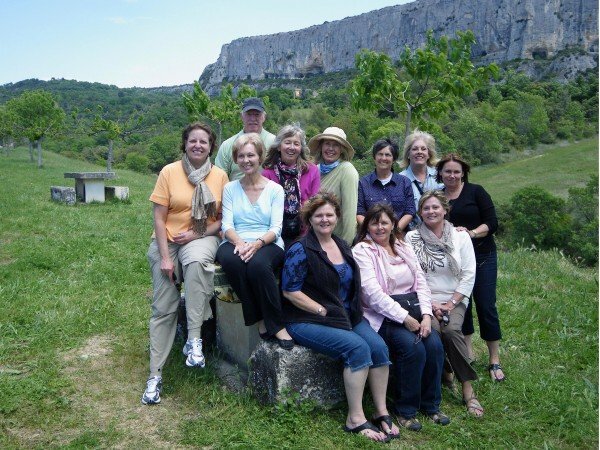 We’ve already designated our May 19-26, 2012 Luberon Experience trip as a special Women’s Week. 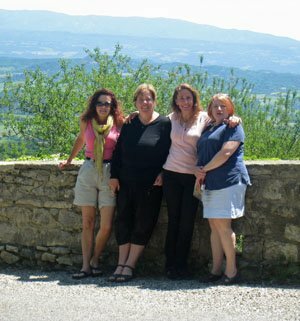 We’re also considering opening up a second Women’s Week in the Chianti region of Tuscany the week of June 9-16. Women’s Week is very important to me personally… it’s the trip I’d always dreamed of! I met Charley when I was 35 and we got married the next year. Before then I’d always wanted to go to Europe, but I didn’t have anyone to go with. After Charley and I got married and started traveling together, I met many women who wanted to travel abroad but didn’t want to go alone or end up on a tour surrounded by couples. 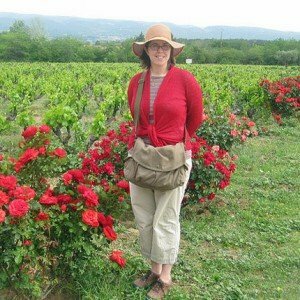 My European travel experiences had such an impact on me, and I really wanted to help more women travel and especially to experience our beautiful area of Provence. So when we started European Experiences, Charley and I decided to designate at least one of our weeks each year as a “Women’s Week.” He and I both really look forward to these groups. We don’t have designated “couples” weeks on our European Experiences trips, and it’s unusual for us to have a group that’s only couples. We welcome solo travelers, and men or women traveling alone would feel comfortable in any of our groups. But we’ve found that some women really prefer an all women’s group– and we understand why. It’s relaxing and fun! 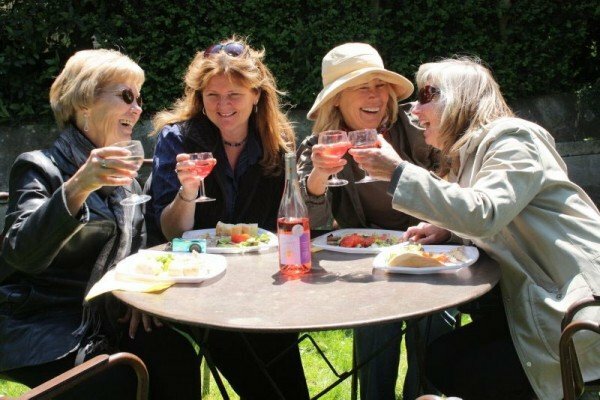 Since our first Luberon Experience Women’s Week in 2007, our all-women groups have included women of all ages, from all over the USA, Australia and Canada. Our women’s groups have included solo travelers, college roommates, friends, mothers and daughters, and sisters. These groups bond very quickly, and in just a few hours, everyone is among friends. I love being part of these groups. “I’m not a big traveler and this was my first trip to Europe. 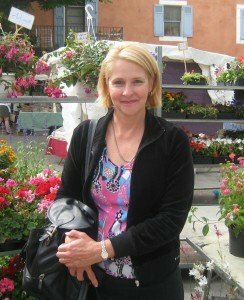 My husband doesn’t travel at all but my sister Eileen is an experienced traveler. 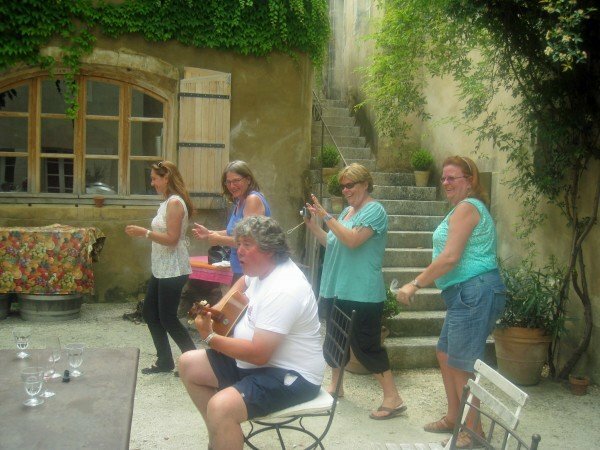 The Luberon Experience Women’s Week was exactly what we needed for my first trip abroad. I did not have to decide where to eat, what to see, and most of all how to get around in a foreign country. This was definitely a memorable Women's Week! Whether you’re a woman traveling on your own or with a friend, sister, mother or daughter, an all-women’s tour could be just the trip you’ve always dreamed of! Or think about the special women in your life; this might also be the ideal type of trip for them.